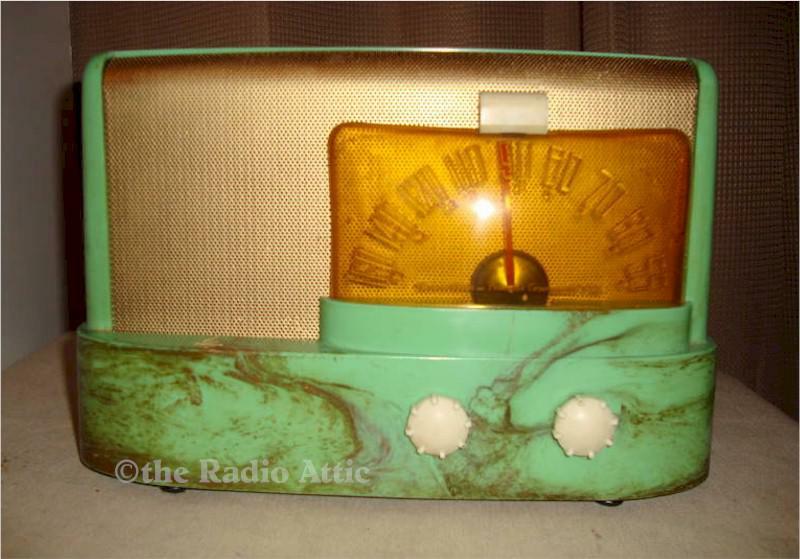 This is the rare marbleized green and gold Beetle plastic Emerson known as the Moderne. It is super clean but has a few hard to see stress cracks, a tight crack between the knobs, tight crack by the handle and a small crack on the front ledge. See pictures. They do not detract from the beauty of this radio. It has been serviced and plays very well with lots of volume. Add $38 for domestic shipping. You are visitor number 2,046 to this page.